Fangirls, I love me some serious beets. Beets are a tasty and healthy root vegetable that can be made into all sorts of rad things. I usually just have them from a can, but I wanted to try something new, so I found a recipe for beet burgers, and I fell in love. Rinse and drain your flax, and put it into a saucepan with the lightly salted water. Put that over medium heat, cover, and cook for about 25 minutes. Remove from the heat and let stand for 5 minutes. 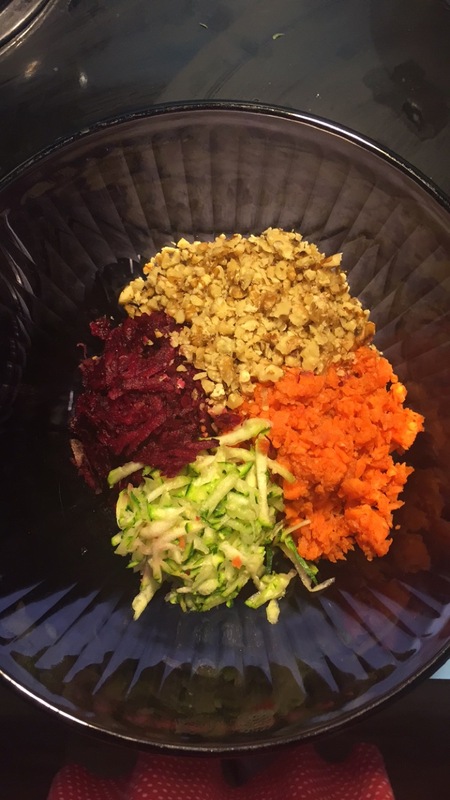 After that, combine the beet, carrot, zucchini, and walnuts into a large bowl. 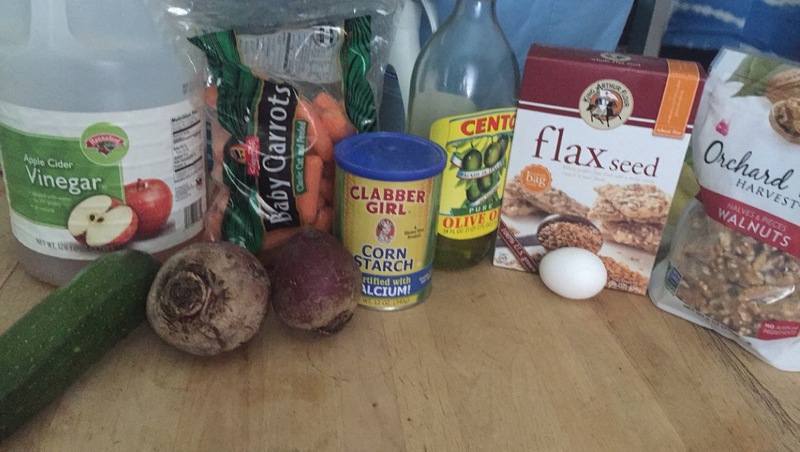 Add the flax seed, vinegar, and oil, and mix well. Add your egg and cornstarch, mix well, cover, and put it in the fridge for at least 2 hours. After it’s been chilled, pack it into 4 individual burger patties. Put some oil in a frying pan, turn it to medium heat. Only flip it after about 2 minutes; you want it to be nice and solid, and also cooked through. 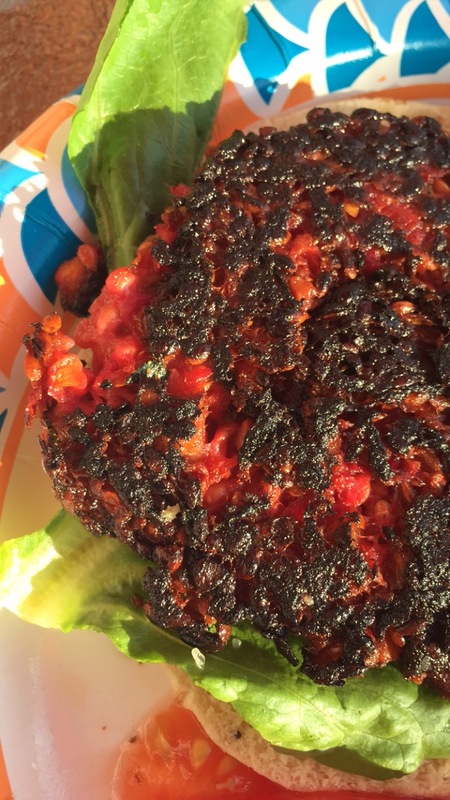 I noticed that my burgers were a little loose, and that bummed me out, but there are worse things. They were still incredibly tasty, and I can’t wait to make more. I really enjoyed these burgers because they were very filling, lasted quite some time, and were a beautiful addition to my plate. I will definitely be making more in the future, and highly suggest you check it out. 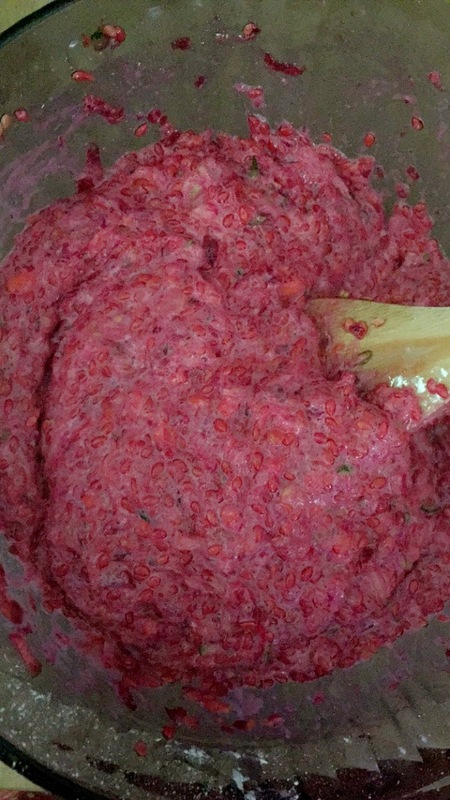 My recipe suggested using millet instead of flax seed, but I was struggling to find millet. It was delicious regardless, and super healthy! It had a good amount of protein, which is great for vegetarians who have issues finding protein.